Ursus hubs in alloy with VelvetTouch finishing, DISC CENTER LOCK. 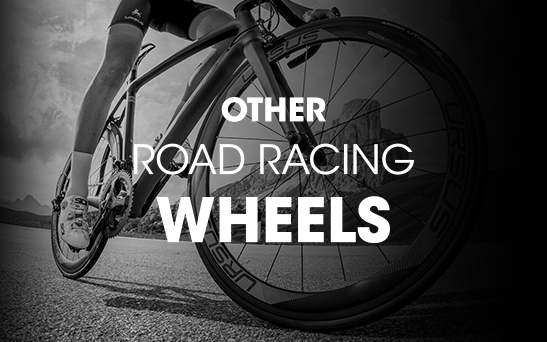 MIURA TC37 DISC wheels for road bikes with disc brakes are suitable for all types of routes. 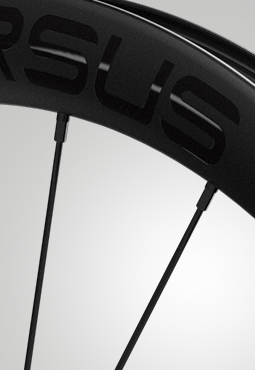 The medium rim profile, designed following the aerodynamics of the profile Naca 0027, allows cyclists who love mixed routes to ride at their maximum performance on every occasion. The particular distribution of the carbon fiber avoid the accumulation of material making the rim perfectly balanced. The MIURA TC37 DISC carbon wheels are fitted with a new pair of Ursus alloy hubs, with high-smooth ball bearings, meticulously hand-assembled by our mechanics and checked with special optical-controlled machines before being mounted on the wheels. This model is also available with braking surface rim MIURA TC37. 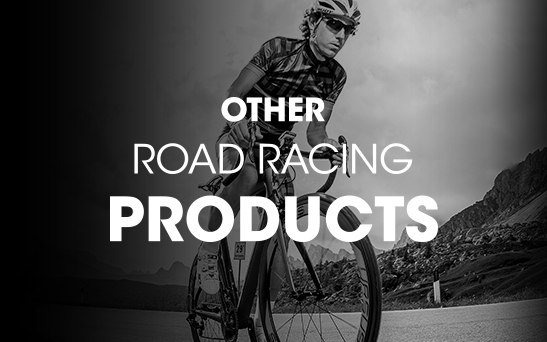 We want to give cyclists the best technical solutions, also increasing safety on the road. For this reason, the stickers that are applied to the rims, evolve into a security tool: each label is printed on a reflective base with high visibility. It means that with Ursus you will be perfectly visible on the road even in the evening or in bad weather. The new hub RD40 comes with an unique design, conceived to mount exclusively straight-head spokes. It ensures maximum wheel rigidity and allows a perfect alignment of spokes and rim holes. 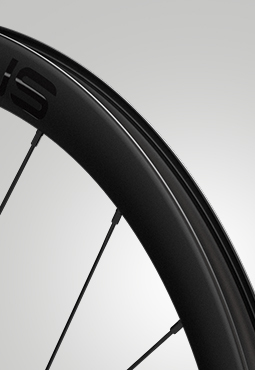 A precise design was studied to allow the spokes to fit perfectly with the hub flange. Furthermore the heads of the spokes are completely integrated. 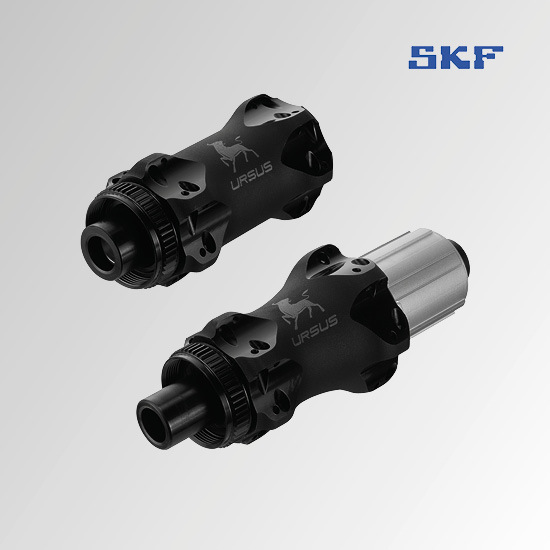 Alloy hub Al 7075 on SKF seal ball bearing high fluidity.